A BBC journalist mistakenly announced that Queen Elizabeth had died, causing Buckingham Palace to break its own protocol of remaining silent on speculation. 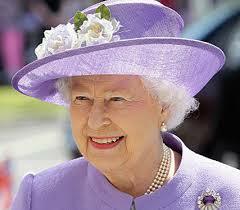 A BBC journalist is reportedly facing disciplinary action after tweeting that the Queen had died. Ahmen Khawaja apparently mistook a rehearsal for the announcement of the monarch’s death, and sent a tweet saying: “‘Queen Elizabrth has died [sic]’: @BBCWorld”. Khawaja’s tweet was sent during one of the BBC’s regular rehearsals for deaths of senior members of the royal family, which sources have said that she was not taking part in. According to reports, Khawaja overheard the rehearsal and tweeted what she thought was breaking news. Sources have reportedly said that the tweets were a “direct result” of Khawaja overhearing the practice run. Coincidentally, the Queen was at the aforementioned hospital for her annual check-up – but sources claim that Khawaja was unaware of this. She added that the false information was in fact a “silly prank”, suggesting that it was the result of phone hacking, and apologised for any upset the tweets may have caused. But Khawaja’s efforts to retract the news were seemingly futile – the rumours of the Queen’s death had spread so rapidly that Buckingham Palace issued a statement denying that the Queen was in ill-health. This broke the Palace’s usual protocol of refusing to comment on speculation about the health of the royal family. When the BBC carried out the royal death rehearsal on Wednesday morning, its head of newsgathering, Jonathan Munro, had told staff to keep information about the practice off of social media. Shortly before Khawaja’s erroneous tweets were sent out, Munro had sent an email to staff. “This morning we are carrying out a low key rehearsal for the way in which television might cover a Category One obituary,” he said. “It’s mainly a technical procedure looking at the use of the studio. “It does not involve any sites outside NBH [New Broadcasting House], and it will not include radio or online. This has been in the diary for some time - there is NO editorial reason why this is happening now. “Procedures have been put in place to isolate the rehearsal from any output. It will take place in Studio E whilst the Victoria Derbyshire show is on air from Studio B. We will be using internal camera positions on the mezzanine, and in the Business unit. The exercise should be completed before 1030, and the News Channel will return to E as scheduled at 1100. "It’s essential that we can rehearse these sensitive scenarios privately. BBC Tours have been suspended, and the blinds from public areas including reception and the media café will remain dropped. "I’d also ask for your help in refraining from any external conversations and all social media activity about this exercise. Your continued discretion will be greatly appreciated." The BBC has said that an investigation would be taking place as a part of its disciplinary process.